About Us – Keating Research, Inc.
Chris Keating, PhD, is the President and founder of Keating Research, Inc. Keating has an undergraduate degree in political science from Northwestern University and Ph.D. in economics from the University of Illinois. Keating has worked in survey research in Colorado for the past 22 years where he has conducted over 500 successful survey and focus group research projects on state and local issues. Keating is well regarded in the field for developing quality questionnaires, thoughtful client presentations and reports that are written and created to be understood by the lay person as well as the more astute client. Keating Research, Inc. was established in 2010 and in a short period of time has established itself as a leading Colorado survey research firm working on education, energy, water, transportation and growth issues. Keating Research counts the University of Colorado, Colorado Governor John Hickenlooper and Denver Mayor Michael Hancock as clients. Keating Research recently worked as the pollster on the landmark No on 1A campaign in Pueblo County to successfully prevent the prohibition of marijuana in the November 2016 election (57% no) and to successfully implement a regional transportation authority in San Miguel County, Colorado. In 2015, Keating led the survey research on the successful 1A For DIA ballot measures in Denver and Adams Counties. Prior to founding Keating Research, Inc., Keating was Vice President at Harstad Strategic Research and Research Director at Talmey-Drake Research. 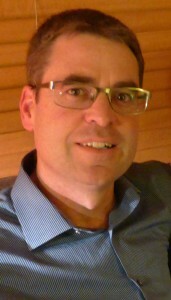 Keating has lived in Colorado since 1995 and currently resides in Telluride.